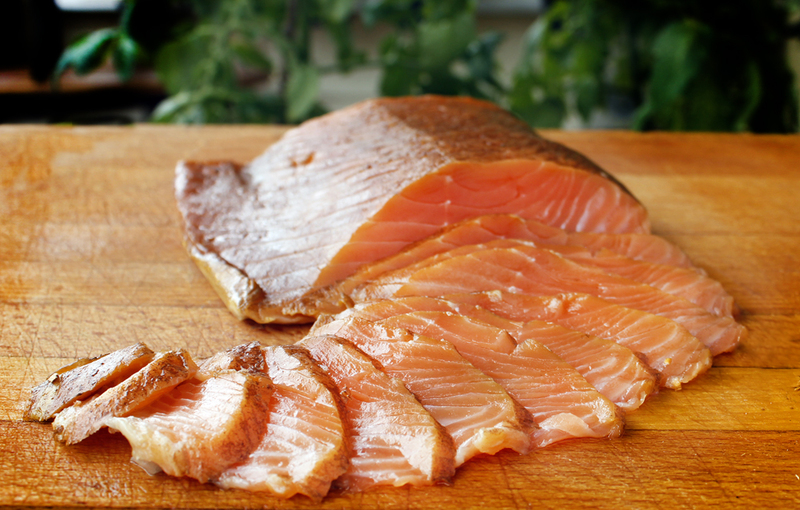 When I go to the grocery store to buy smoked or cured salmon I always wonder why it is so damned expensive. I can buy a fresh fillet of salmon here in Sweden for about $7.00 a pound but smoked or cured salmon is usually at least three times that price. It doesn’t cost much to smoke or cure salmon. Sugar, salt and herbs are not very expensive so the high price really doesn’t make sense to me. 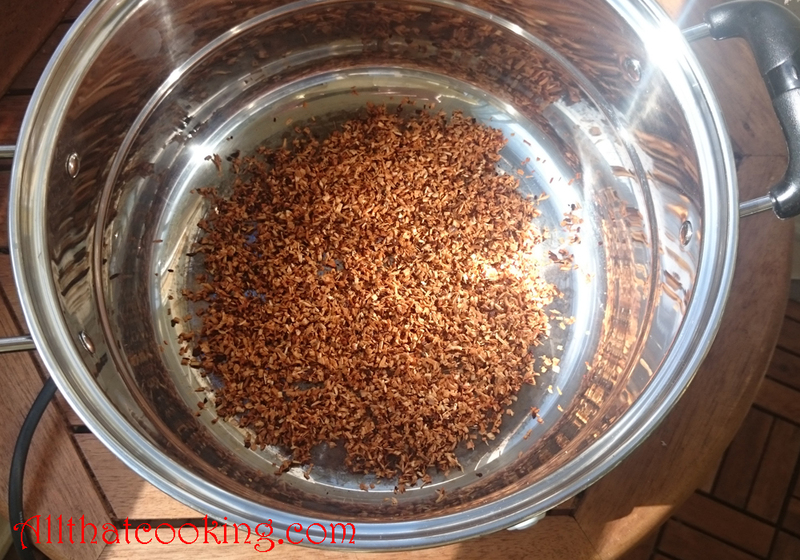 In the past I have smoked food in a professional restaurant kitchen, but I thought it would be fun to find an easy way to do this at home and share it with you here on the blog. Now we have a primer that covers everything you need to know about smoking food. Check it out. We think you’ll be pleasantly surprised to see how inexpensive and easy it is to do it yourself. 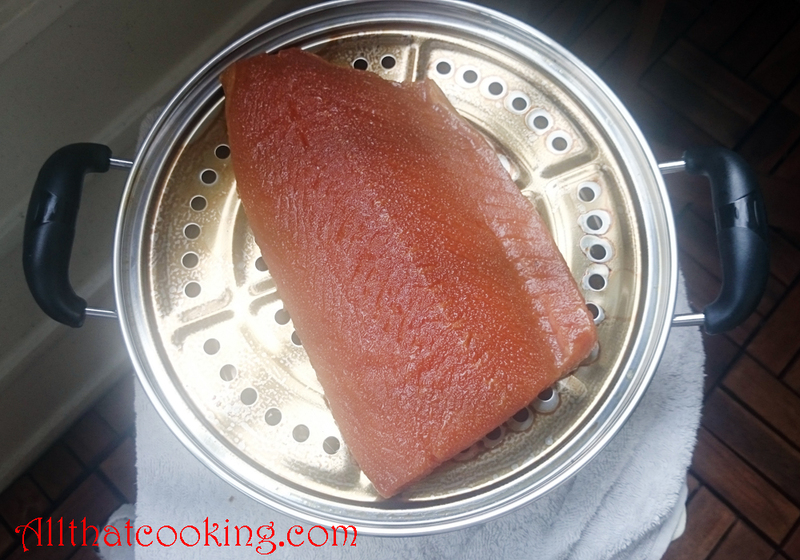 So, what am I going to do with my smoked salmon you ask? Scramble up some eggs and toss in some smoked salmon bites. Have brunch: classic cold smoked salmon with bagels and cream cheese, some red onion and capers. Make it the center of attraction on a platter with pumpernickel, crème fraîche with a horseradish kick, some caviar, dill sprigs and lemon slices. Do crostini with lemon and capers. Let it dance through a salad. Once you taste your smoky creation we don’t think you’ll have any problems coming up with creative serving ideas. 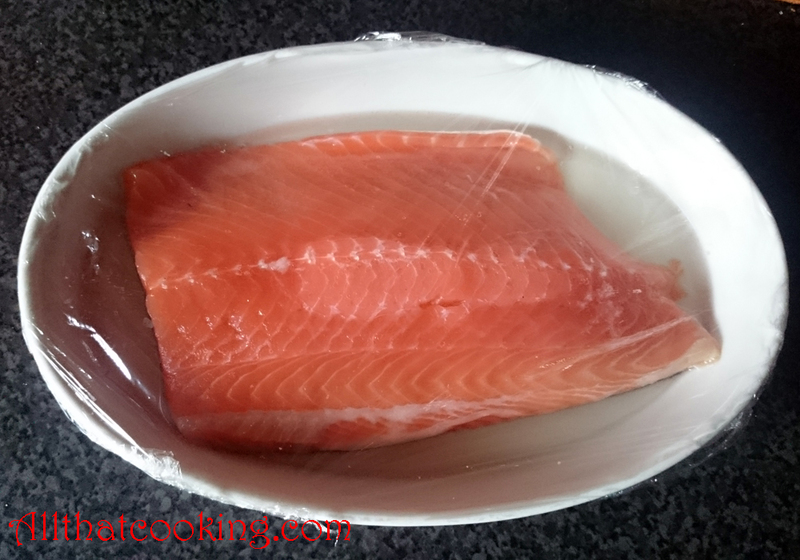 Start this recipe the day before serving, as the salmon needs to be refrigerated in brine for 24 hours. 1/2 pound fresh salmon fillet, pin bones removed. Sprinkle half the brine evenly over the bottom of a deep serving dish. Nestle salmon on the brine and sprinkle the remaining brine evenly over the top. 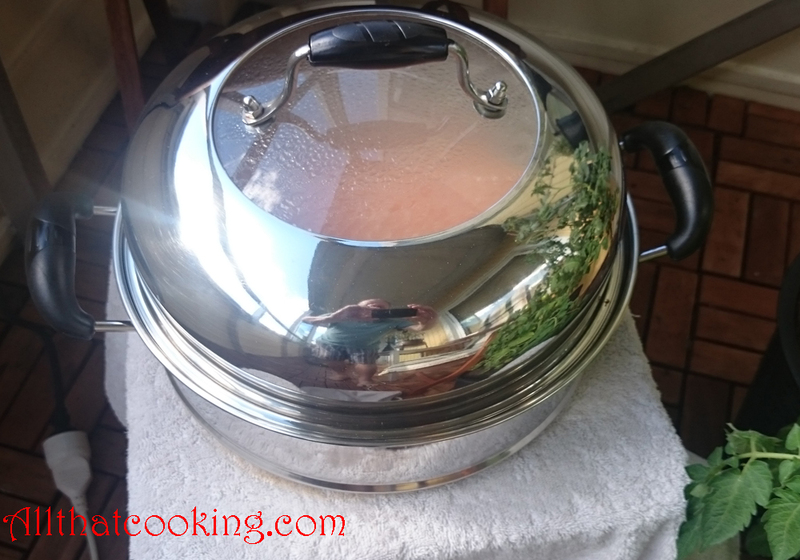 Cover dish with plastic wrap and refrigerate 24 hours. A lot of smoke is produced from just a little bit of wood. If possible, carry out the actual smoking process outside. Even with open windows, your house will get very smokey. 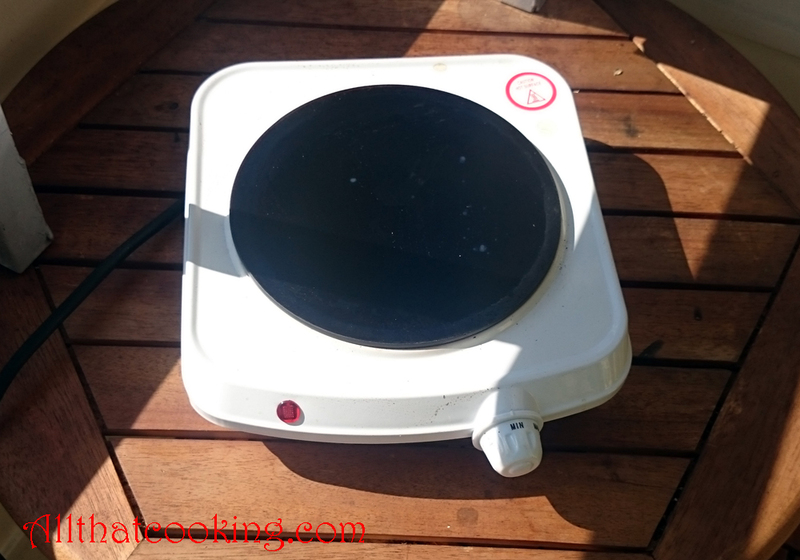 Oli used a hot plate for the heat source. Also, know in what order you are going to build you smoking tower (pot bases, flat steamer inserts, etc.) because once you get going you need to put it all together without delay. Prepare the wood as described in our primer. Set stove burner to high. 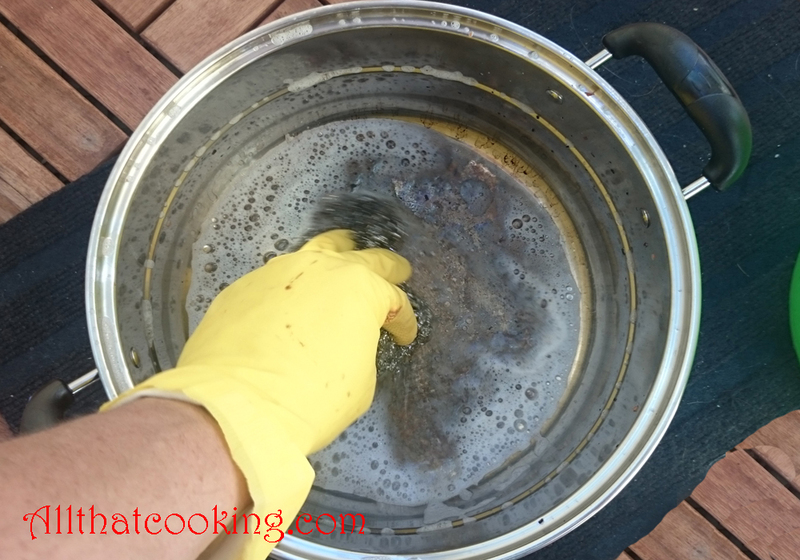 Spread wood chips evenly over bottom of smoker and place on burner when it has reached max heat intensity. In a few minutes the first thing you will see is an odorless gray steam. When it turns to a strong, brownish smoke it’s ready. 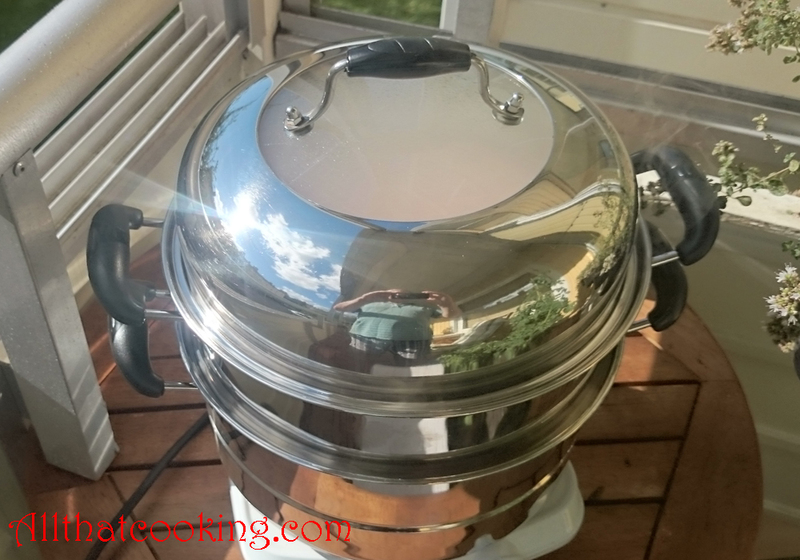 The next piece to go into Oli’s smoker is the pot with the steamer bottom. 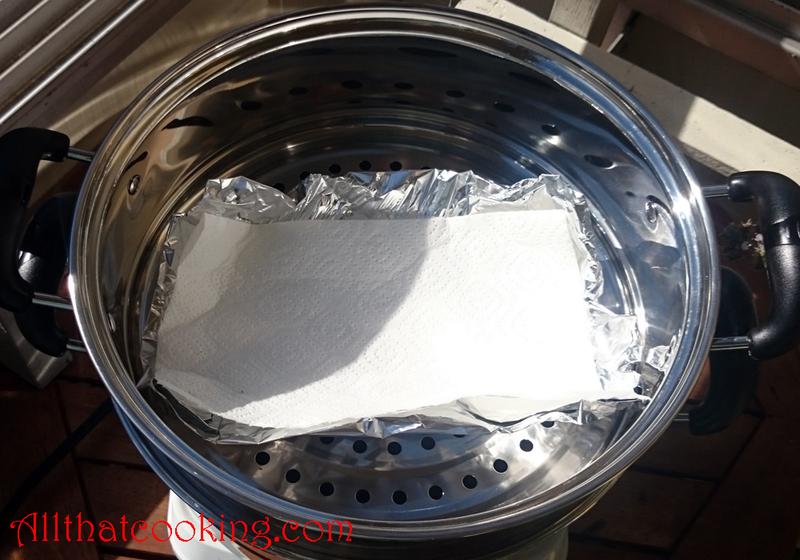 To protect the fillet from direct heat and to absorb moisture from the fillet, he placed aluminum foil on the steamer then put a paper towel on top of it. Leave some holes from the steamer bottom uncovered. 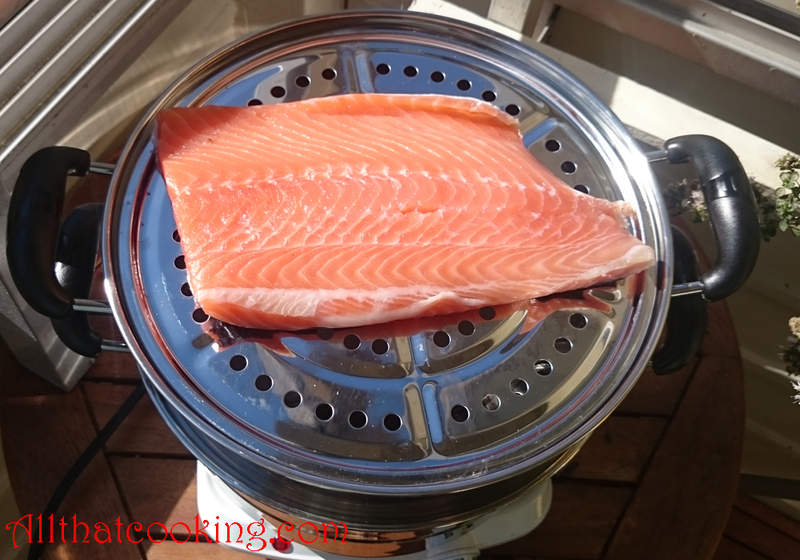 Oli next added the flat steamer insert, placed the salmon on it and covered his smoking tower it with the lid. The first thing you will see is rising steam. Then thick, dark smoke. If you have a glass lid, you won’t be able to see the salmon because of the smoke. 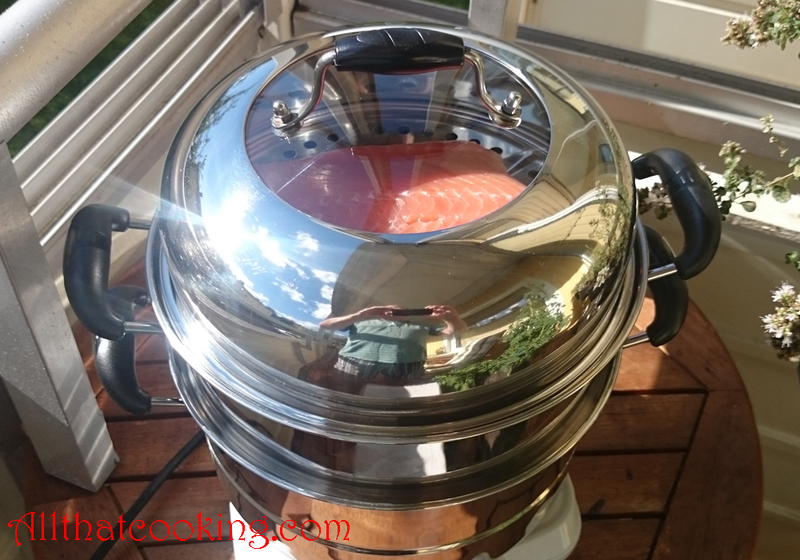 When smoke seeps out from under the lid, let the pot stay on the smoker for 3-5 minutes depending on how smokey you want the salmon. Don’t open the lid during the smoking process. 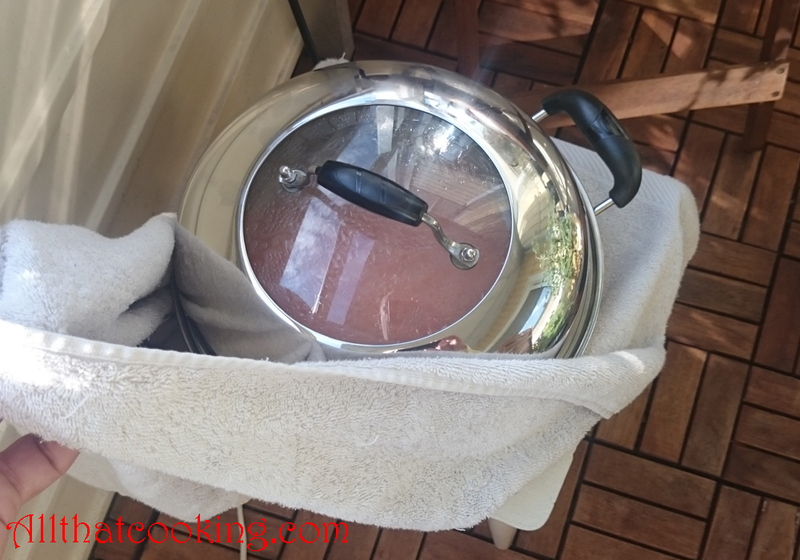 Remove the upper part of the smoker from the base parts and wrap it in a towel for 4-5 minutes. 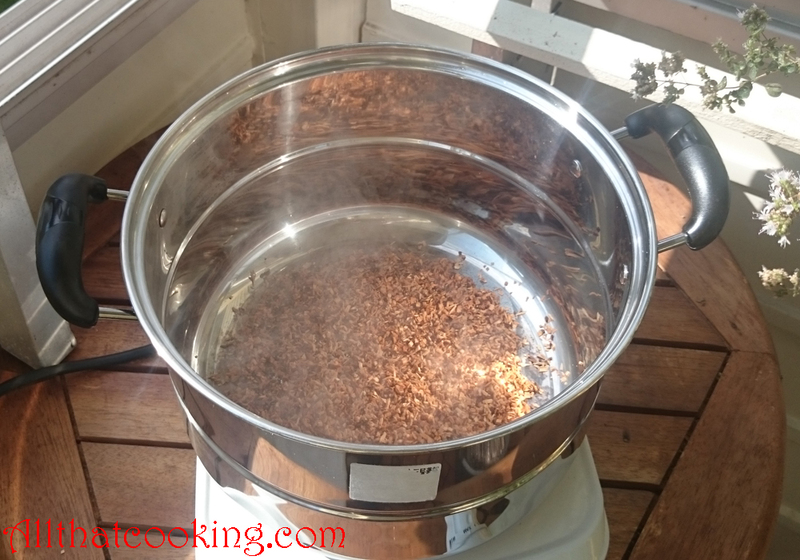 This will increase the smokey flavor and keep the fish from getting too warm. You can skip the towel wrap if you don’t want a very smokey salmon. At last you have the final product. 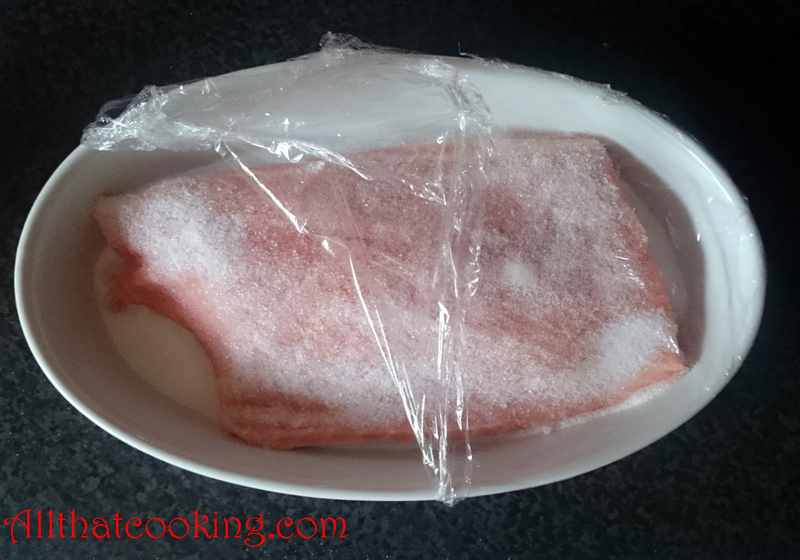 Remove the fillet and refrigerate before serving. 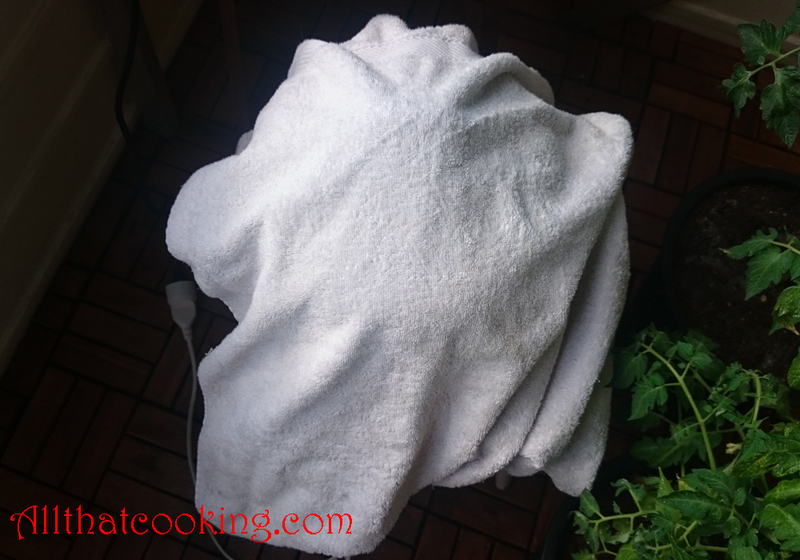 It’s best to immediately clean the steamer very well with soapy water and a brush so you’ll be ready for the next time.